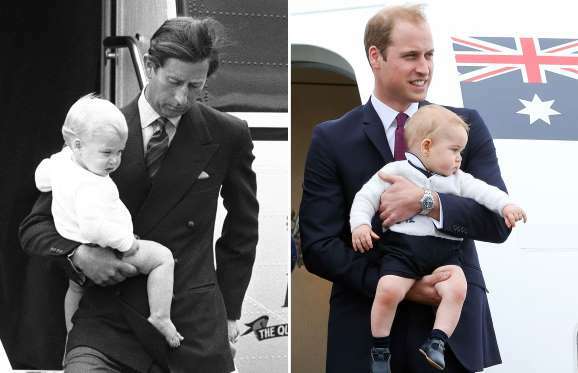 designtocaredaily: Prince William, Duke of Cambridge, and his eldest son, Prince George- like father, like son. 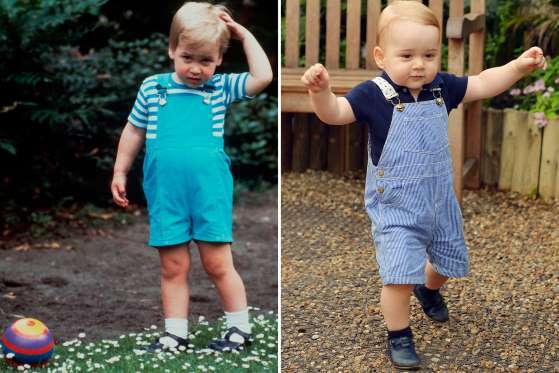 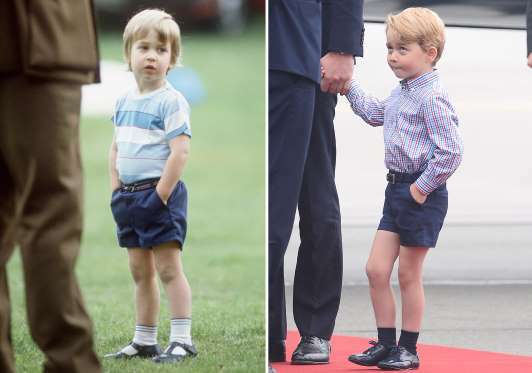 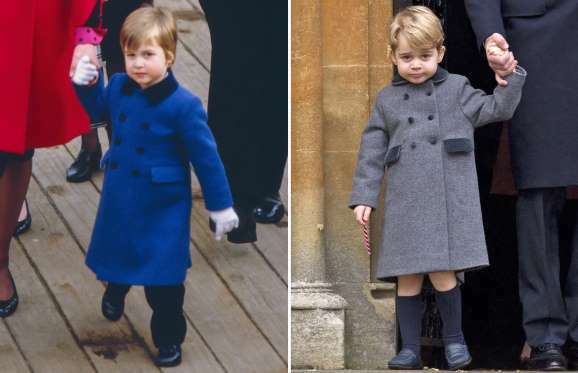 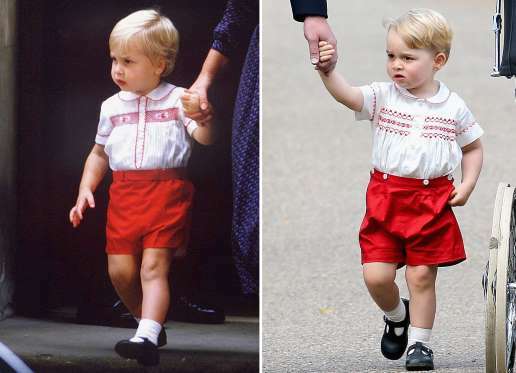 Prince William, Duke of Cambridge, and his eldest son, Prince George- like father, like son. 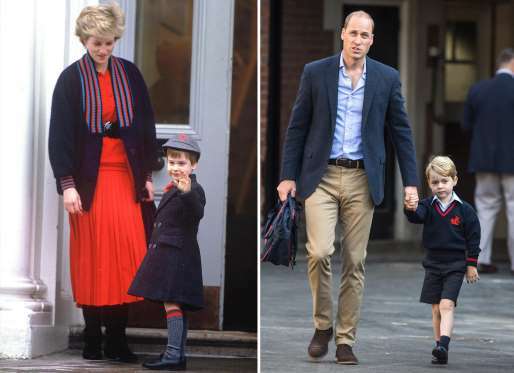 These sets of pictures give us the reminiscence feeling because it allows us to look back and forward at the same time, It looks here as if time is standing still and also stretching out his hands reaching to the future all at the same time, today our hearts are full of hope. 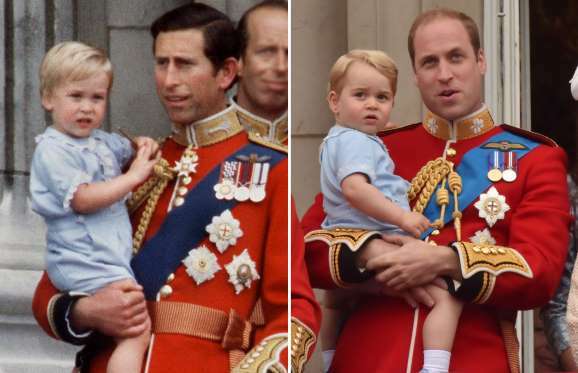 In this lovely sight to behold, we present like father, like son. 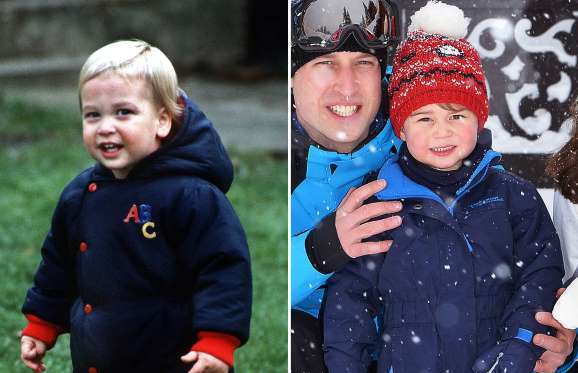 The Esteemed Duo - Prince William, Duke of Cambridge, and his eldest son, Prince George, bear a striking resemblance to one another. 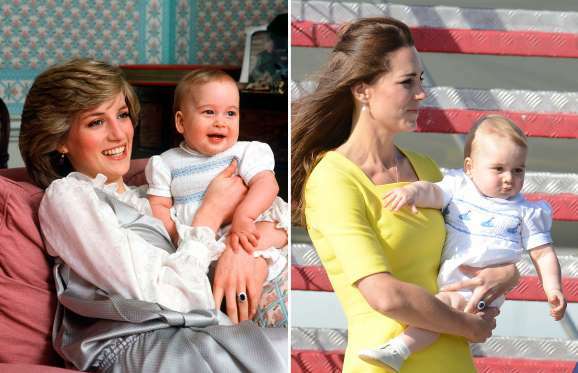 Here's taking a look at the duo in near-alike expressions. 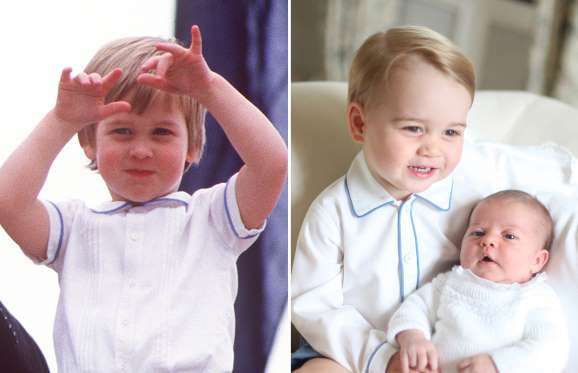 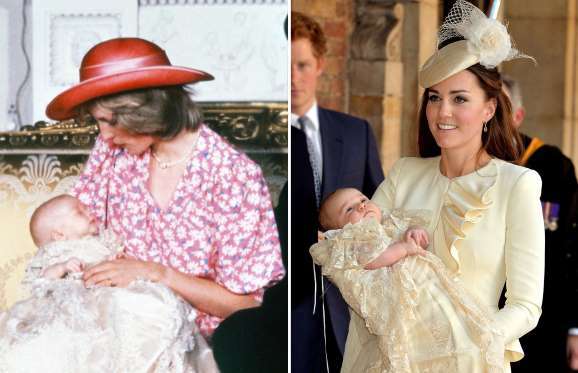 (Pictured, L-R) Prince William during the birth of his younger brother, Prince Harry, in London, U.K. on Sept. 15, 1984; Prince George at the christening of his younger sister, Princess Charlotte, in Sandringham, U.K. on July 5, 2015.